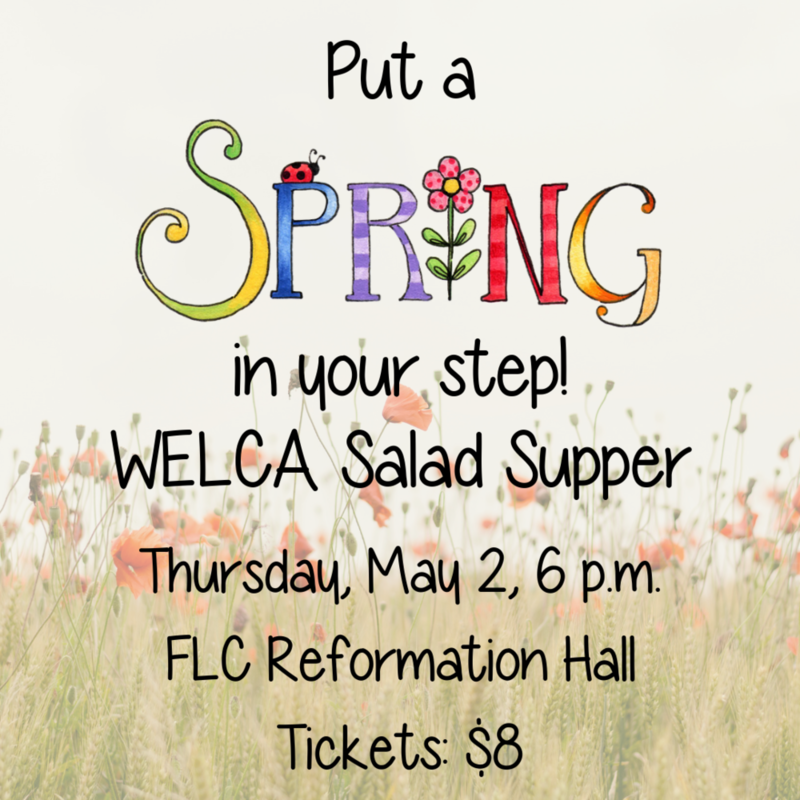 Spring is special for the women of FLC, as we welcome spring each year with our Salad Supper. Tickets are $8 each and are available through April 26. You may purchase them at circle meetings and the information desk at church. All women of FLC and guests are invited. Come, bring a friend, and enjoy a fun evening program with Shirley Halleen. Shirley’s program, “Laugher is the Best Medicine,” will entertain us. Shirley is a former teacher and legislator. She is a founding member of Lunch is Served and OLLI in Sioux Falls and has been inducted into the SD Hall of Fame for so many other leadership roles. Many of us remember reading and enjoying her weekly column in the Argus Leader. Shirley is now retired and lives in Sioux Falls.